Shining a light on the GeForce RTX’s real-time ray traced reflections. In a new leap for graphical fidelity in gaming, DXR real-time ray tracing is coming to Battlefield™ V single-player and multiplayer on PC. With the mid-November update for Battlefield V, the first release version of DXR ray tracing is available now. With the help of NVIDIA GeForce RTX graphics cards, Battlefield V will be the first video game to ever use ray tracing – and the franchise’s graphics will never be the same. Battlefield™ and unmatched visuals have always been synonymous. Hi-fidelity environments generated by the Frostbite Engine look great in their own right – but when 64 players populate them, explosions and destruction make the visual feast even more succulent. 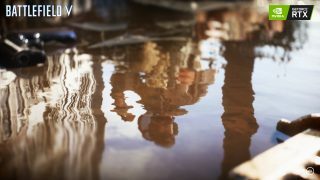 With ray tracing coming to Battlefield V, PC players with rigs up to snuff will be able to witness a substantial raising of the bar when it comes to the visual impact of those in-game reflections. 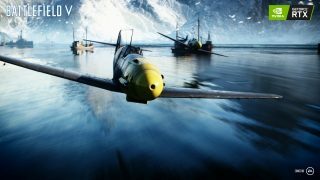 “The first time we implemented real-time ray tracing on our Arctic Fjord and Rotterdam maps, it was amazing,” says Christian Holmquist, Technical Director at DICE. “The advancements in real-time ray tracing is one of those things that happen maybe once every 10 years, like the generational jump in graphics we saw in the 1990’s with the introduction of Hardware Acceleration 3D Graphics,” Holmquist adds. So, what is ray tracing? Essentially, an algorithm traces the path of light from many different viewpoints and simulates the way it interacts with 3D objects in the scene. As the ray moves through the scene it accumulates color and light information along the way from all objects it encounters. These interactions are then combined to produce the final color of a pixel, that will be displayed on screen. Tracing from smooth surfaces like windows, cars, tanks, lamp posts, tiles, puddles and weapons accurately reflect elements of the environment around them. Standard rasterization technology does not fully capture these effects – but ray tracing does. Among other things, ray tracing will make sure that the light sources on a Battlefield V map, be it sun beams or V-1 Rocket explosions, result in a more realistic and authentic effect on the world around you. If you want to learn more about ray tracing, head to NVIDIA’s article here. “Real-time ray tracing creates the most physical, immersive and visually-striking experiences and we are extremely excited that Battlefield V will be the first game to utilize this technology. EA, DICE and NVIDIA have been working together to bring ray tracing to our fans, and we’re committed to continually improve and optimize DXR,” says Christian Holmquist. The main thing to know is: Battlefield V will look even more amazing.